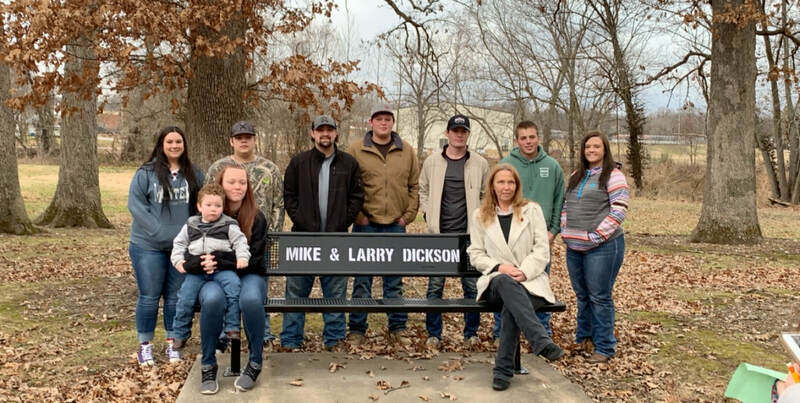 A bench has been placed at Rocky Edmondson Park in memory of Mike and Larry Dickson, twin brothers, and members of the Cassville High School Class of 2018. Mike and Larry tragically passed away in an automobile accident in April 2016. The Cassville Class of 2018 voted to use funds from Project Graduation to place this bench at the park in their honor. Pictured above, from left to right, in the front row: Mike and Larry’s sister and nephew, Tori and Gerald Mayes; and Tammy Dickson, the twin boys’ mother. Back row, representing the class of 2018: Haley Donovan, Jamime Aguinaga, Mason Jacobson, Bub Schell, Brayden Strahan, Trey Sturgell and Kaylee Riebert.